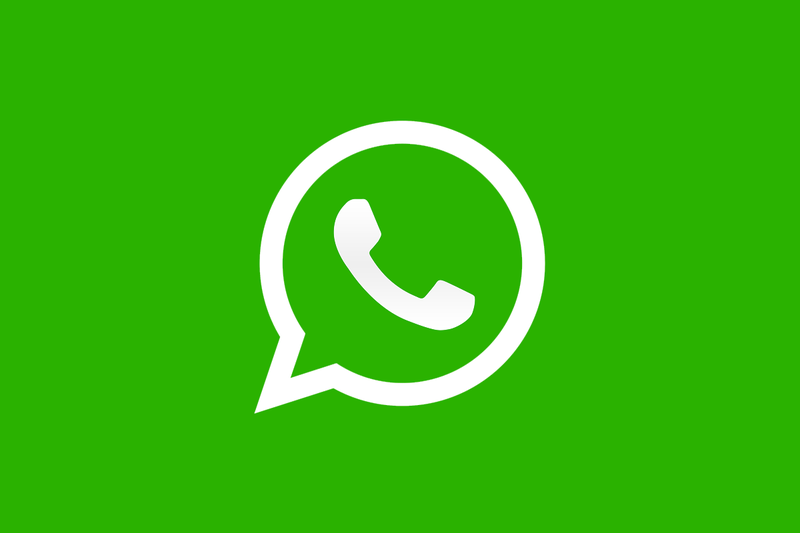 Hitting 1 billion users in 2017, WhatsApp is has become a staple in wireless communication all over the world, under Facebook. Despite its consistent service, with voice and video calling, there can be times where the app feels dull or isn’t reaching its full potential. 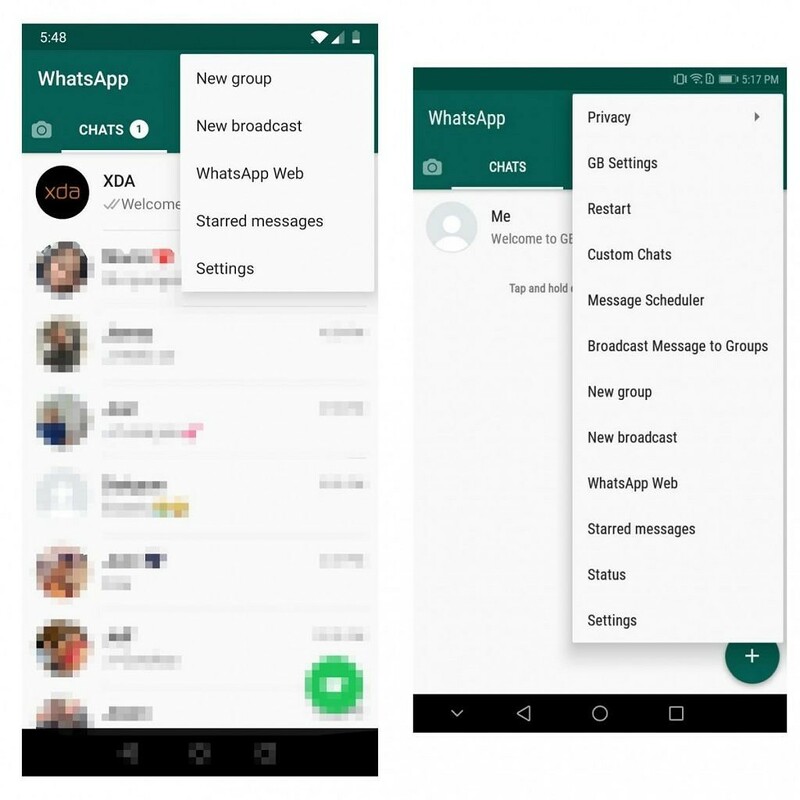 If you’re looking to get more out of the popular messeging service, GBWhatsApp aims to be a solution that unlocks some additional features that will improve the user experience. Developed by Atnfas Hoak, the app boasts a vast amount of features and customization. The app comes loaded with different kinds of themes for you to download and apply. 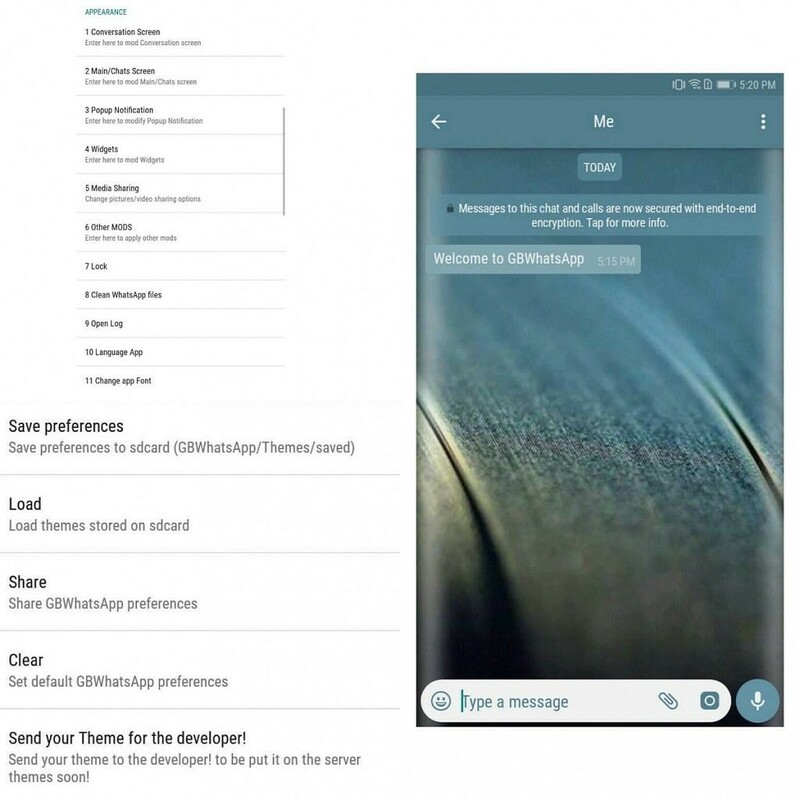 It also gives you the option to create your own themes as well. 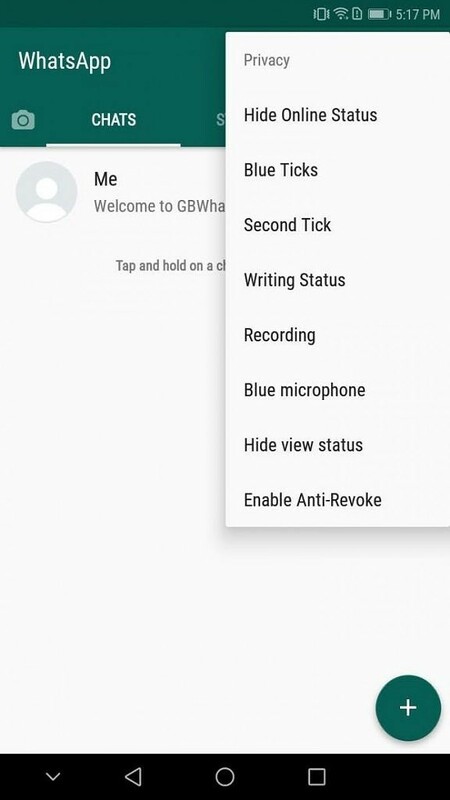 The privacy settings here are very precise, going from changing how the ticks work, whether you want the receiver to see that you’re recording a voice message, to hiding the “typing…” under your name. Here you can see some of the differences in the options that you’ll have in the two apps. Because the app isn’t in the Play Store, you have to enable “Install From Unknown Sources” in your phone’s security settings in order to install it. Once you’ve done that, visit the developer’s website at GBMods and choose a version accordingly with your phone’s hardware. Then you just need to install the app and you’re good to go.